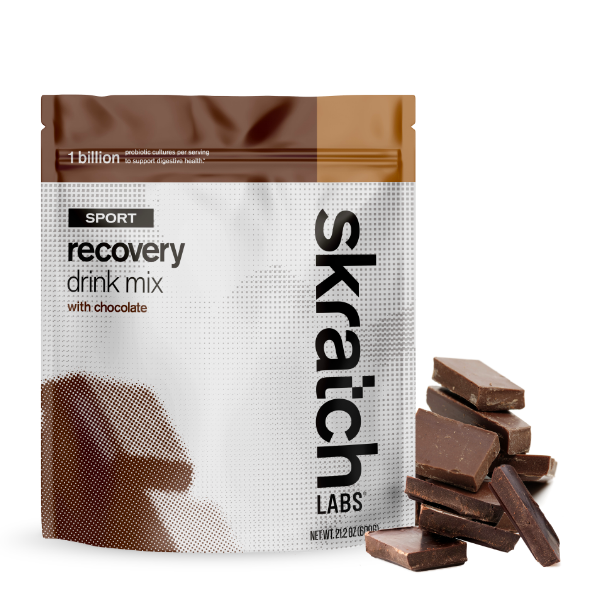 Our Chocolate Sport Recovery Drink Mix is tasty cold, hot or mixed up in creamy, dreamy fudge pop form. Who doesn't want to recover from a long day, bike ride, run, hike, week with a Fudge Pop? (That's what we're saying!) They aren't exactly virtuous, but they are delicious and must be used in moderation as with any truly decadent treat. These popsicles are easy to make but require a bit of time to freeze...so plan ahead for a cool (and fudge-y) treat! Heat the half and half over medium heat until just simmering. Add the chocolate and Sport Recovery Drink Mix and stir until well combined and smooth. Remove from heat and add the vanilla. Pour into the popsicle molds and allow to freeze for 3-6 hours, until set. Use a bit of hot water to unmold them then eat and ENJOY!